Is it safe to be colouring hair post cancer? Every day people are exposed to chemicals that are toxic to our own system and radiation that is connected to our risk of breast cancer. The beauty industry and all of the cosmetic products we use on a daily basis expose os to that risk. The risk of becoming allergic or sick. 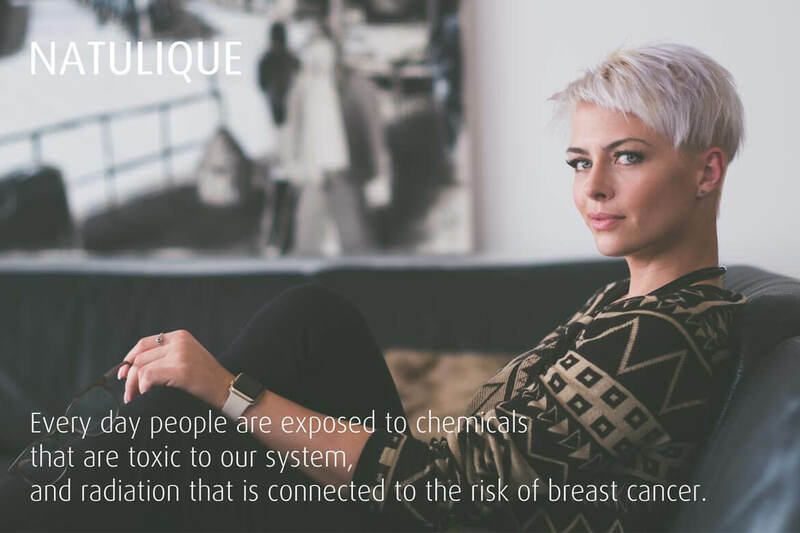 Therefore it is very close to our hearts at NATULIQUE to create cancer awareness in the Salon Industry and avoid all of the toxic chemicals in our products. Mette, one of the two founders of NATULIQUE was 28 years old when the doctors found a lump in her breast. Mette and her family had always been living a healthy life and she was in shock when she was given the bad news. But how do we define what a healthy life is? Is it when you don’t smoke, don’t drink any alcohol, is it if you exercise often or when you eat healthy or organic? No one can define what a healthy life should mean to you – but we would like to tell you about what we at NATULIQUE also think is very important in order to live a healthy life. Many women today, and even an increasing number of men are colouring their hair today, but is it safe to be colouring hair post cancer? You may have heard the rumours about a link between using hair colour and getting cancer. Let’s make it clear, that there is no concrete proof that this is true. Some studies have looked at the possible risk factor for various types of cancer within hair colours. Here we will discuss what the different researches has shown and how you can avoid being exposed to chemicals. How am I Exposed to Chemicals during Hair Colouring? Non-organic hair colours or hair colours containing ammonia are some of the worst hair colours and will expose you to chemicals in several different ways. Some chemicals in hair colours can be absorbed in small amounts through the skin and some can be inhaled from the fumes in the air. Hairdresser and stylists, people who work around hair colours regularly as part of their jobs, are likely to be more exposed to chemicals than people who just colour their hair on occasion. Many of the concerns about hair colouring possibly causing cancer have focused on people who work with them. Read more about ammonia free hair color here. Is colouring your hair post cancer safe? Is there such a thing as hair colour for cancer patients? Researchers who study hair colour and cancer are looking for substances that are carcinogenic. This means that the substance causes cancer and helps cancer grow. This we of course would like to avoid! Several different studies takes place in order to measure how, why and what happens when one is exposed to chemicals and toxic substances like Carcinogen. But sadly no study has yet provided enough evidence on its own. Studying hair colours is very complex because not all hair colours are the same and contains many different chemicals. Hair colours have also changed a lot over time (for good reasons) but does not make it easier to keep track as a researcher. Early hair colours (1970-1980s) contained far more chemicals than today. Thank God we are removing more and more chemicals! Does hair colour and cancer go hand in hand? The studies show that there is a link between hair colour and cancer, but it cannot be proven with enough evidence. The studies on hair colours that can increase the risk of cancer have focused on cancers such as bladder cancer, non-Hodgkin lymphoma, leukaemia, and breast cancer. The people concerned in these studies are people who colour their hair regularly and people who are exposed to them at work. But what happens when we cannot prove the direct link between hair colour and cancer? The International Agency for Research on Cancer (IARC) is part of the World Health Organization (WHO). It is their major goal to identify causes of cancer. IARC has concluded that workplace exposure as a hairdresser is “probably carcinogenic to humans,” based on data form cancer studies in regards to bladder cancer. The National Toxicology Program (NTP) is formed from parts of several different US government agencies, including the National Institutes of Health (NIH), the Centers for Disease Control and Prevention (CDC), and the Food and Drug Administration (FDA). The NTP has not classified exposure to hair colours as to its potential to cause cancer. Here at NATULIQUE we take no chances! Therefore we are so proud to be both organic and chemical free at NATULIQUE. Being a green hairdresser lowers the risk of developing allergies or worse. Read more about NATULIQUE and organic hair color here. As long as your hair and scalp are healthy, and you do a hair colour allergy test for colour, there is no specific length required for using hair colour. However we at NATULIQUE recommend that you allow at least an inch of hair to grow before colouring it, so that you can be sure that the hair is of a good quality. Even though the NATULIQUE certified organic colours are made from natural ingredients and are 100% ammonia free, it is still always a good idea to do a patch test to ensure that you are not allergic to hair colour. Doing a patch allergy test is very easy. It can be difficult to be colouring hair post cancer. As a hair dresser there are several colouring techniques, but it can be hard to colour very short hair. Colouring 1-2 inches in length the easiest technique is all over colour. This can be applied to almost any length of hair. Applying highlights in short hair can be even more difficult, but if you use a tint brush or a fine tail comb, this should make the job easier. If you want to do foils make sure that the hair is at least 1.5 inches otherwise this may be impossible.